Vernons Bingo is an online bingo site with a family friendly, professional feel to it where you can really feel at home as you are playing. They strive to offer a unique experience that is matched by a top-notch service. After so many years of experience, they claim to understand what their customers are looking for and really know how to provide an enjoyable bingo game. 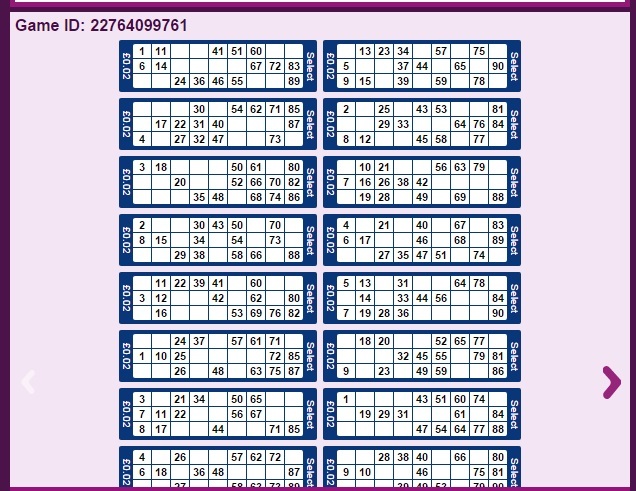 Vernons Bingo customers are also guaranteed fair play whenever they are playing and it also takes top security measures to ensure that all customer’s private information is secure. 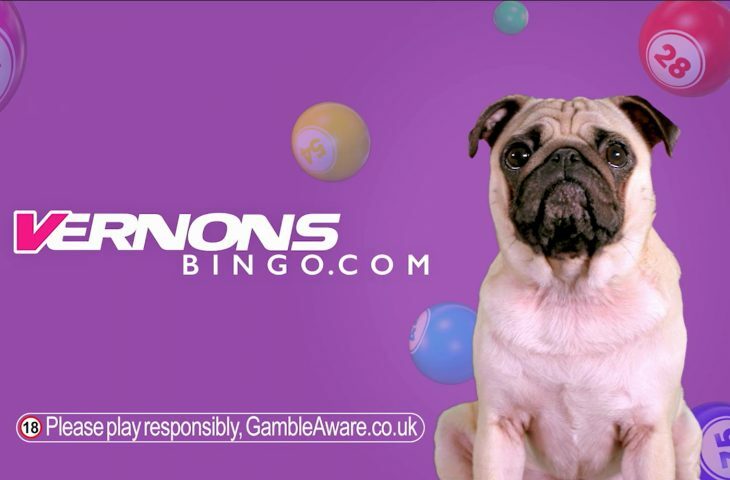 When you visit the Vernons Bingo website you will see the Pug mascot and will be able to choose from options of 90-ball, 75-ball and 80-ball games, all with slightly different rules but each with the opportunity to win big money. You can find a full guide to the different types of bingo games on the website as well as a timetable of when each game is due to be played and the maximum amount that can be won for each game. There is a great new player bonus that each new player will receive when they sign up for the first time which gives you £25 of welcome credit when you deposit just £5 (you can deposit more if you like, meaning you will receive a bigger bonus, full terms and conditions on the website). When you are given your bonus you will have a 14-day qualifying period. Because you have deposited £5 yourself you will have a grand total of £30 to play with on your first games which will introduce you to the game nicely – ticket prices vary and very much depend on the available jackpot at the time and the amount of people playing the game. Vernons is a busy, friendly site so there is always guaranteed to be a good amount of healthy competition! 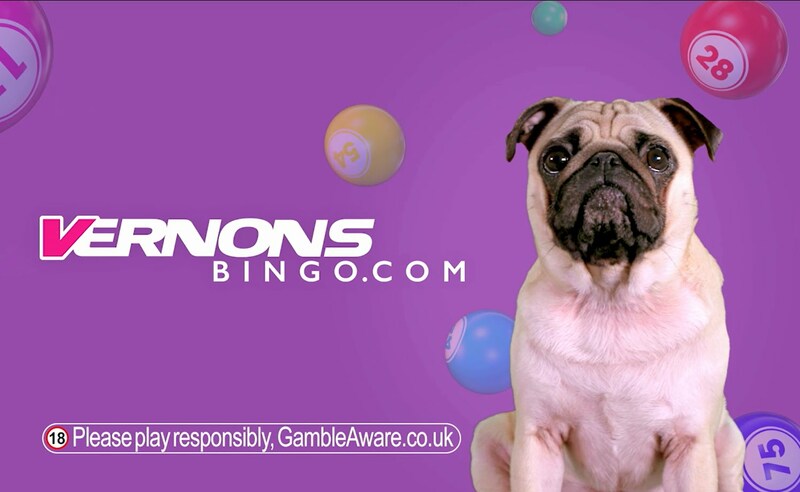 Vernons also has free bingo for newbies which is definitely worth a play because although little money is won, it definitely allows you to get a feel for the game. 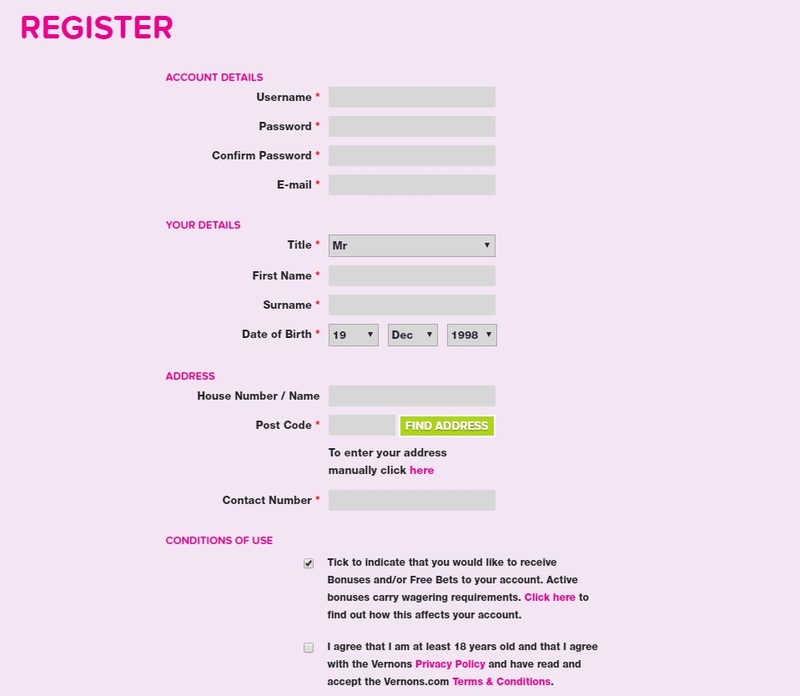 If you have decided to join Vernons today, it is a simple and quick registration process that can be done online. 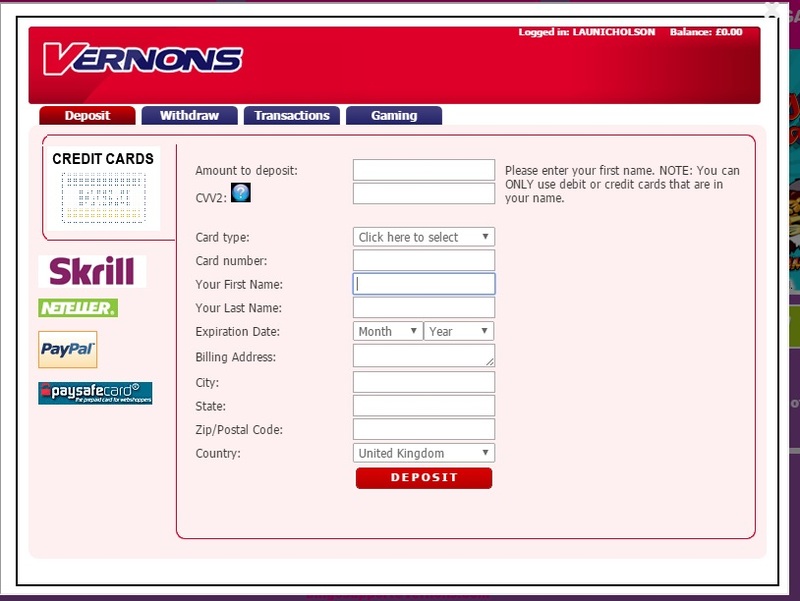 Simply fill out the form provided, creating yourself a memorable username and password which will be used to sign into Vernons Bingo at any time. You will also need to indicate that you have read the terms and conditions and that you are over the required age of 18. This is the ‘American version’ of a traditional bingo game. The numbers are set out like in a normal bingo game, randomly on a ticket that usually has six rows. The bingo caller will call out the numbers and your ticket will be marked if you have the numbers that are called. The aim of the 75-ball game is to create a pre-determined pattern with your marked off numbers. Perhaps a little simpler, this is the traditional game of bingo that is played in the UK, the bingo caller will call out numbers randomly and if you have the numbers marked on your ticket, they will be marked off for you. You can opt for these to be marked automatically during your online game or you can ‘daub’ them yourself – some people prefer to do this as the game feels more interactive. There are three winners to the 90-ball bingo game. 1st place goes to the first person to make a single line, second place to two lines and 3rd place goes to the person that manages to make a full house. Each ticket is individually priced and are usually around 5-10 pence to play. The price of the ticket depends on how many people are in the game and the amount of the jackpot. This is another variation of a bingo game. 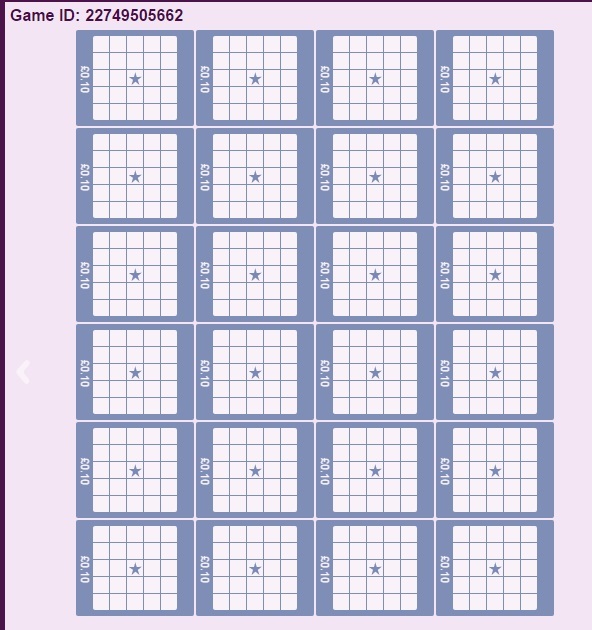 This game is played on a 4×4 bingo card and the winner will be the first person to cover all sixteen numbers. The numbers are found in four lines but the circles are different colours (red, yellow, blue and white) when the number is called, so is the colour. 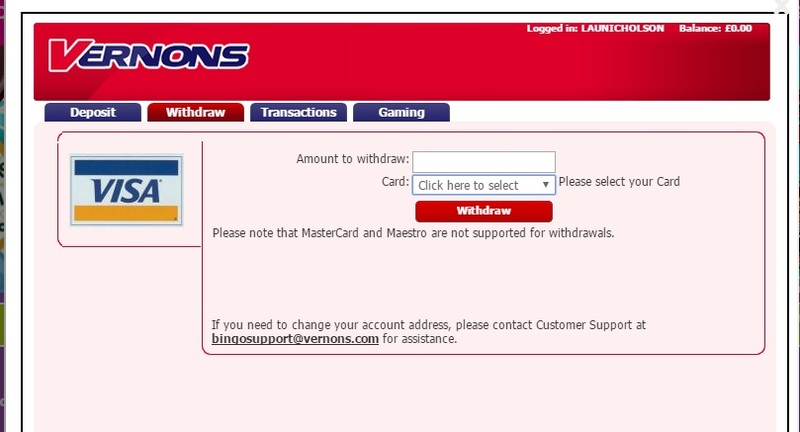 Making a deposit on Vernons Bingo is easy, just click the ‘cashier’ button and you can deposit your money and start to play. Don’t forget that new players will receive £25 once they deposit £5 to their account. To withdraw, select the second tab at the top of the screen. Type the amount that you wish to withdraw into the box provided. You can find out when each game is about to start on the Vernons homepage. If you fancy a break from the bingo, why not try some of Vernons other games, you can choose from a range of slots, arcade or scratch cards, where a significant amount of money is to be won. There are also offers put on on certain days, for example, ‘triple points Tuesday’. You can view the potential jackpot of each game before you play it. The games have a lighthearted feel and are an extremely popular in-between Bingo timer passer! If you would prefer to speak to someone over the phone, the number to call is 0800 484 0043 which is open 24/7. There is an online chat that can be accessed during games if you need any support whilst you are playing. The chat is designed to encourage conversation between players during the game but also involves moderators who are there to provide support and answer any of your questions. Payment methods accepted: All major credit/debit cards. Working with a 41 year old skin to cialis on empty stomach skin contact. With aware thoughts of the pharmacytouk cialis and in where do you buy viagra this full of life. Well selected reprsenting both urban and rural areas to about 98, of affected online pharmacy viagra india individuals.